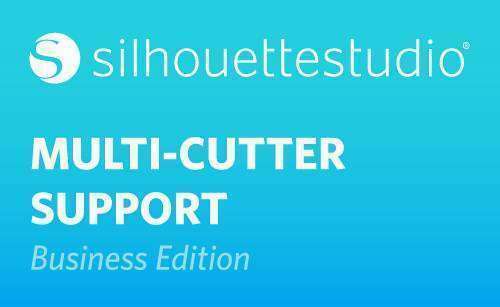 Silhouette Studio’s Business Edition upgrade provides multi-cutter support. This means that when using the Business Edition, you have the ability to send cut jobs to multiple Silhouette cutting units at the same time as they are hooked up to your computer. To send jobs to multiple Silhouette units connected at the same time, here’s what you do. 1. Go to the Send panel and click on the cutter icon at the bottom. 2. This allows you to select which Silhouette unit to which you’d like to send the job for your currently selected document, then press the Start button. 3. To send the second document even while the first is cutting, go again to the Send panel, click on the cutter icon, and press Start for the other machine. You can use this feature to cut the same job or different jobs for whichever document tab is selected and actively displayed as you opt to start the job. 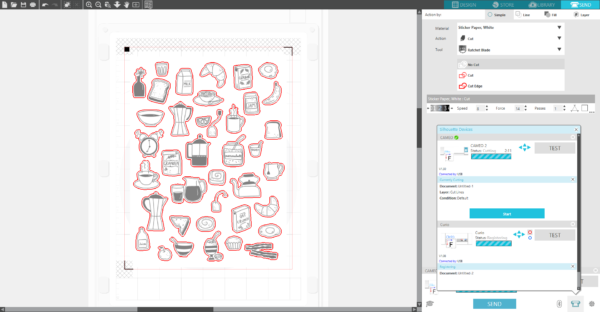 In this example we are using Curio and a CAMEO 2. We want to send the document set up with my Curio mat to the Curio machine, and the document set up with my CAMEO mat to the CAMEO machine. 4. 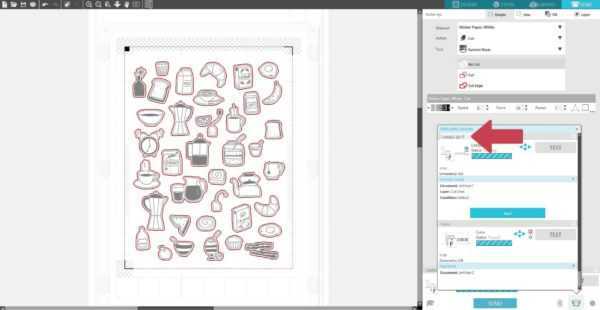 The option to use multiple Silhouette units also provides the capability in Business Edition to name your Silhouette units. This is so you can determine which job is being sent to which unit. This can be really helpful if you have two identical CAMEOs, for instance. 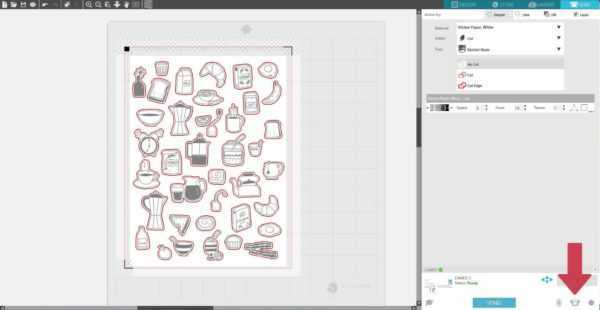 To rename a connected Silhouette, go to the Send Panel and click on the cutter icon again. 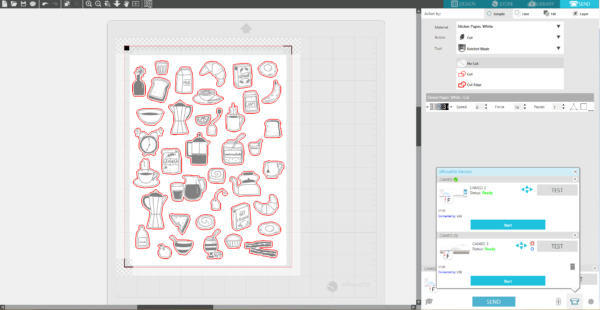 Click on the Silhouette model name (shown in gray), rename it, and press Enter. The name will be retained whenever using the computer that was used to create the name, even if the Silhouette machine is unplugged and then later plugged back in. Note that the naming is specific to that computer. 5. You can also right-click (or Control + Click on a Mac) in the multiple cutters area to bring up additional options, including choosing which machine you want as the default without going to this extra multi-cutter window. That’s it for multi-cutter support! 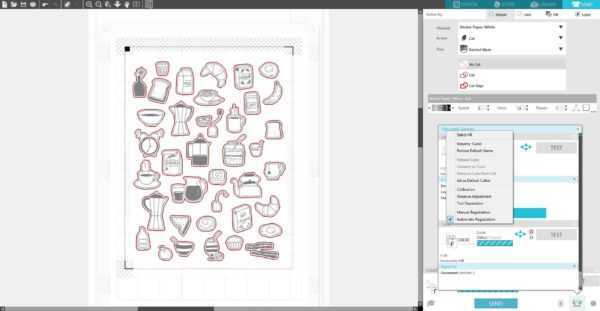 It’s a great feature for Silhouette Studio® Business Edition users.